The Maritime Museum of Sesimbra was featured in the Portuguese Museum Award of the Year 2017, awarded by the Portuguese Museum Association. PARTTEAM & OEMKIOSKS congratulates those in charge of the Museum for this achievement and is proud to be part of this project through one of its business partners, a bet on a playful and interactive component in various moments and places of this museum. 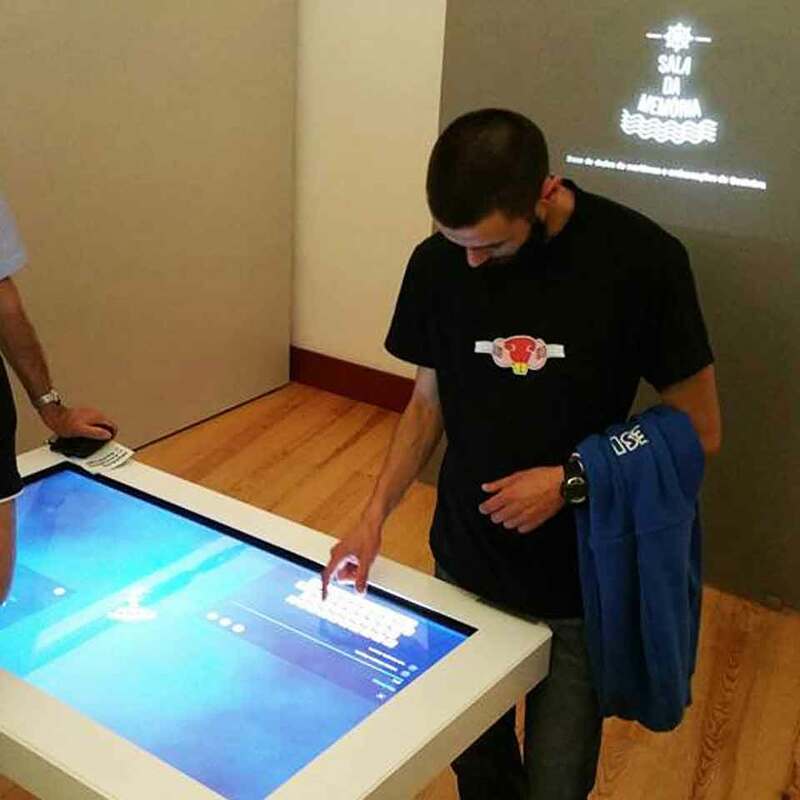 Through a 48" ZYTAB interactive table and a projection system, visitors are invited to obtain different information about Sesimbra and its fishermen, shipwrecks and boats that over time have built their story. The new multimedia technologies are a valuable aid to arouse the interest of visitors. In addition to the ZYTAB, the 32'' TEMBU kiosk and a 55" ZYTAB Wall Double were installed. To recreate and update cultural spaces means to rethink the dynamics of information, the development of technology as a space for the playful and with the need to fulfill educational and social roles. Interactive museums are in a phase of transformation, a trend of the 21st century. Technological resources are used to transmit content in a participatory way, to attract and include the public. The use of technology can maximize the physical and real experience in interactive museums by providing information in an easier, more attractive, more quality and quantity way.